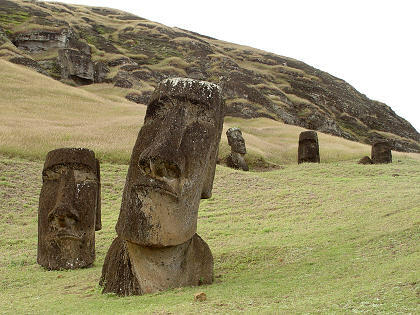 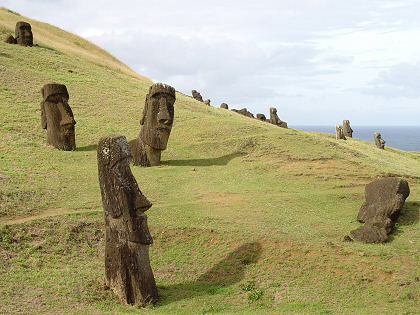 Another view of numerous moai scattered across the landscape. 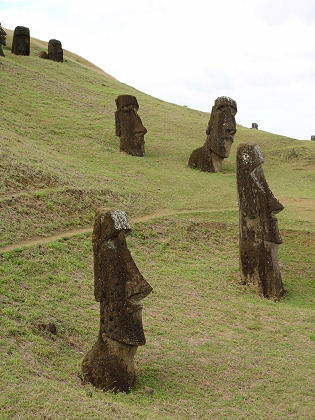 The two moai in the foreground here are the same two moai in the left middle of the previous picture. 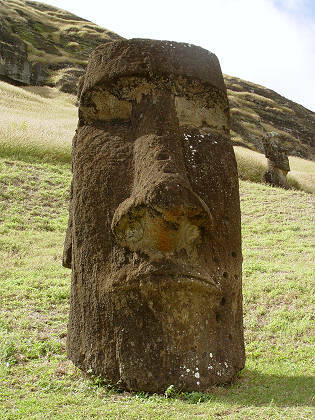 You can see the rock face of the quarry in the background. 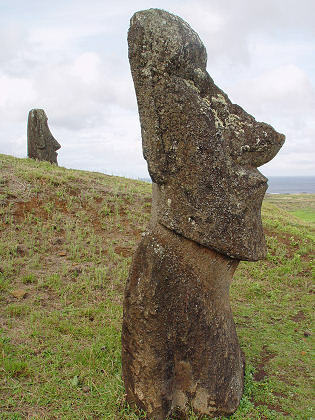 A full-face view of the left-hand moai in the previous picture. 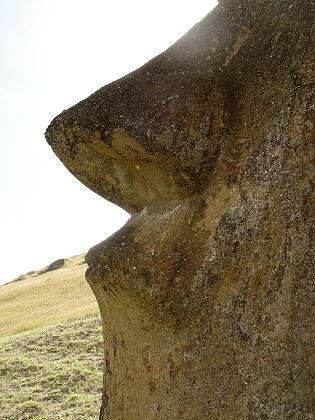 A close-up of the right-hand moai's nose and lips.